The trailer gives players a first look at the real-life replica cities, beaches, forests, and mountainside villages that make up the most realistic tank battle game on mobile. Featuring Atypical Games’ renowned PC-quality graphics, the game sports fully interactive environments with trees and buildings that can be destroyed to clear an escape route…or expose the enemy! Completing the realism is ever-changing weather that makes trees sway with the wind, as well as snow and rain that reduce visibility! Also available to players’ advantage (and disadvantage) are realistic wildlife who react who react to vehicle presence. 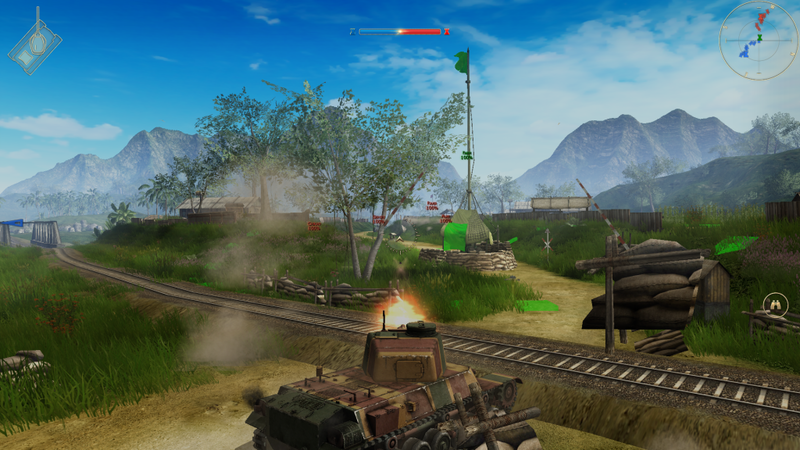 Beyond a variety of historically accurate World War II tanks, players can get behind the wheels of jeeps, light armor vehicles, boats, as well as airplanes…because who can’t forget how awesome flying in Sky Gamblers felt! Endure ever-changing weather that blows vegetation with the wind as well as snow and raindrops that cast a ray of glare when met with light. Pick up the game anytime, anywhere, on any iOS device with iCloud and AirPlay support. Boast tank skills by challenging friends, climbing the leaderboards, and unlocking achievements. Enjoy a universal app for all iOS devices with iOS 7 from the iPhone 4, to the newest iPad Air! Battle Supremacy is coming to iOS for just $4.99 on January 9, 2014.